Breaking Movie News Film Trailer Trailer Trash! We’ve had a short tease. We’ve had the superbowl spot. Now, settle back for the full 10 Cloverfield Lane trailer, from producer JJ Abrams. I’m not even gonna describe it – I’m just gonna say hit that jump and get to watchin’! Trailer Trash – Superbowl Spots! CloverCivilJungleBournePool and more!!! So, the 50th Superbowl has been played, but f@ck that because that only means more awesome movie trailers came our way. Click the jump to view all the TV spots that dropped alongside the most ignored football game on Earth. 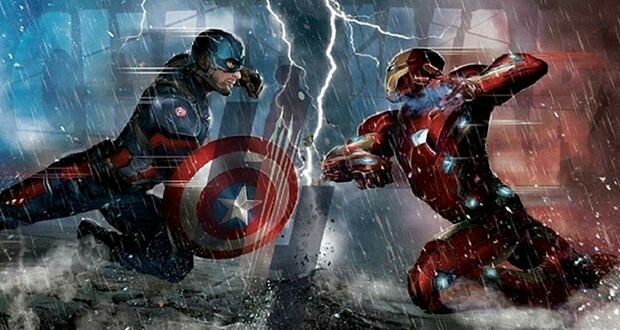 So unless you’ve been living under a rock, you’ll know that Phase Three of Marvel’s Cinematic Universe kicks off next year with Captain America: Civil War, pitting Cap against former ally Tony Stark (Iron Man). And Marvel dropped a new trailer this afternoon – it’s a ripper! Check it after the jump below. Merry Christmas folks!! We hope you’re having a terrific holiday, away from the hustle and bustle of everyday life!!! As a special treat, we are proud to present our previously Facebook-only trailer for Fernby Films 2014 season!! Enjoy!!! New Man of Steel Trailer REALLY Introduces Superman…. Caught the new trailer for Man of Steel yet? Check it out here in full HD!! !